There are over 8,000 restaurants in the greater Los Angeles area. From the old school glitz and glamour of Musso&Frank’s in the heart of Hollywood, to a Jonathan Gold- approved Vietnamese mom- and- pop cafe located in a strip mall in the Valley, LA can satisfy any palate. But how do you narrow it down to the best of the best? 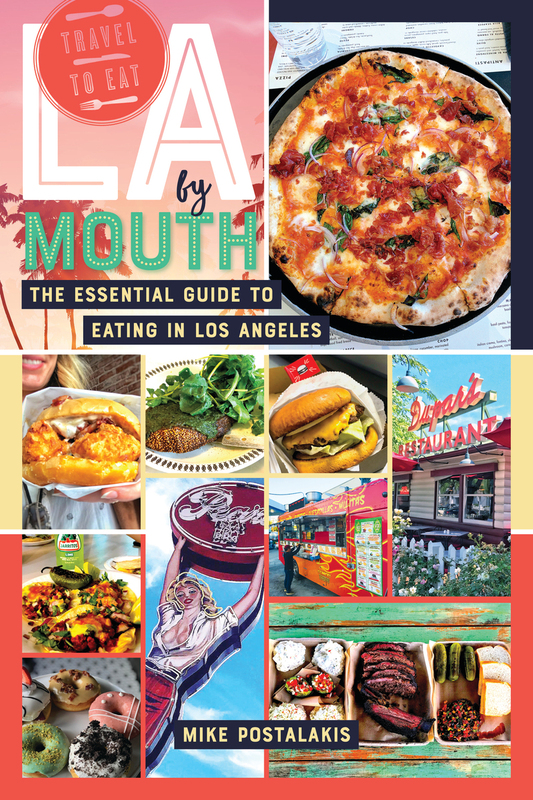 LA by Mouth is for the discerning traveler and restaurant goer, someone who has a compulsive need to hunt down the very best taco, the ultimate burger, the epitome of brunch, and the sandwich to end all sandwiches. Put your FOMO to rest— author Mike Postalakis has sampled it all and has written a restaurant guide with wit, authority, humor, and attitude that will appeal to visitors and Angelenos alike. Mike Postalakis is a writer and comedian based in Los Angeles. His comedy sketches and music videos have been featured on numerous websites including Funny or Die, Pitchfork, AV Club, and USA Today. Since moving to a thriving culinary metropolis such as LA, Mike has developed a keen interest (some would say an obsession) with finding the perfect breakfast burrito.